The OPPERA study on TMJ Disorders is a 7-year, $19.1 million study with an aim to find out who develops TMJ. This may then shed light on the best treatments for the disorder. A total of 3200 people will be enrolled in the project. As per their site: OPPERA is an acronym for Orofacial Pain: Prospective Evaluation and Risk Assessment. 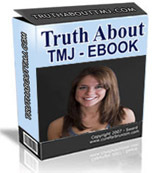 A Study of Muscle, Joint and Jaw Function. The study was announced in 2006. If you’re between the ages 18-44 and interested in the study, you could contact one of the study centers listed on the OPPERA site to see if they’re still looking for participants. To read about the study visit the OPPERA site at: www.oppera.org or The Nih.gov site. This entry was posted in Research on August 14, 2010 by Stop Jaw Clenching Team.